Are you interested in teaching people how to balance their physical and emotional health? Are you looking for ways to increase the value and impact of your holistic health practice? Do you want to inspire and impact others through heart-based service? Qigong empowers people to heal themselves through simple, non-invasive techniques and movements. Join Chris Shelton for the best and most complete online Qigong Teacher Training Foundation course available today. “I utilized all meditations and elements as a direction and guidance for my life. I heal myself of any problems I may encounter past and present. I plan to teach other what I have learned by leading as an example. From QTT I learned how to be full aware of my body and thoughts. It helped me calm my mind and body, cleanse my mind, helped me with my imagination and self healing. “The process of self cultivation further develops our awareness of oneself, our monkey mind and brings us in touch with our bodies so we can become our own doctor. Join us for a free livestream to learn if Qigong Teacher Training is right for you. 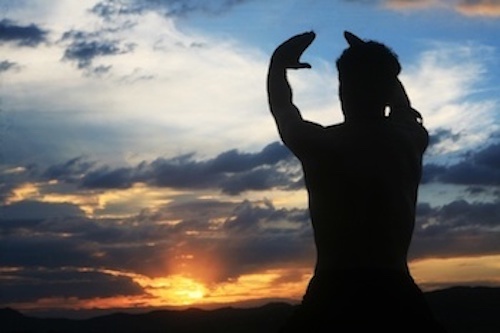 Qigong empowers people to heal themselves through simple movements and guided meditations. Join Chris Shelton for tools on how to reduce stress, release negative emotions and access more creativity and joy. Naturally and effectively. Sign Up for Level One Now! Level 1: Invest 13 weeks to learn the foundational teachings of Qigong, transforming your own health and well-being. At the end of this level, you will be equipped to teach a complete Qigong class, and choose if you want to continue to Level 2. CEUs available. Join us live in our San Jose studio for a weekend of training. You’ll have a chance to practice what you’ve been learning, ask questions, and sharpen your teaching skills. You’ll also make new friends as you connect with other students in the course. There will be plenty of opportunities for personalized coaching, including 3 coaching calls over the 13 weeks of Level 1, where you can ask questions directly. Reach out to Chris and the team any time on our interactive forum. 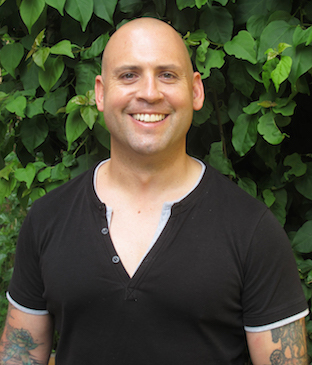 Chris Shelton is a certified practitioner and teacher with over 25 years of study and 16 years of clinical experience in Medical Qigong, an ancient holistic health modality that combines Traditional Chinese Medicine (TCM) with movement, breath, and visualization. He has helped thousands of people across the United States and around the world to reclaim their health and enjoy lives free from chronic pain and disease. Parisa Shelton is also a certified practitioner and teacher of Qigong. Her diverse background makes her the ideal administrator and facilitator for this program. Chris and Parisa are a husband and wife team owning and operating Morning Crane Healing Arts Center in San Jose and Los Angeles, California. They look forward to providing a Qigong Teacher Training course that will transform your life and the lives of those around you. This is not your average certification course. Focusing on the foundations and fundamentals of Qigong, Chinese Medicine and 5 Element Theory, this course gives you tools to take care of yourself as well as those around you. Expect to invest 30 to 60 minutes, two to five days a week, into study and practice. This course has been approved by the California Acupuncture board for 32 CE hours (category one). Qigong for Better Health Video: A 30-minute instructional practice led by Chris which actively engages you in your body, learning the exercises and meditations by doing them. FAQ Video: Answers the most common questions related to the week’s focus. Tips for Teachers Video: Additional specifics and insights from Chris to enhance this week’s practice. 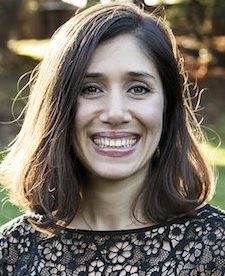 P’s Pep Talk Video: Encouragement from Parisa and an invitation to share your journey as you answer questions related to the week’s subject matter on the forum. Handouts: Each week, you will have at least one (or more) handouts to print and add to your QTT binder. Reading: This course uses two main texts: “Qigong for Self-Refinement” by Chris Shelton and “Tao: The Subtle Universal Law & the Integral Way of Life” by Master Hua-Ching Ni, from which you will be reading chapters each week. Question of the Week: Parisa presents a thought-provoking question for you to consider, then you respond on the forum, where you will also be able to interact with other students and feel a sense of community. Live Coaching Calls: There will be three live coach calls with Chris (via Zoom). This is your opportunity to connect directly with Chris and hear what other participants are up to. Upon successful completion of Level 1, you will be equipped to teach a complete qigong class, and choose if you want to continue to Level 2. Level 2: Continue for an additional 17 weeks to expand and enrich the depth of your knowledge to be able to share this simple, yet profound practice with others in your life, in a class setting or one-on-one. At the end of this level, you will have explored higher levels of this practice and will be ready to dive even more into the medical aspect of qigong. After completing both Levels 1 and 2, including a final project evaluating personal mindset and technical skills, you will be a Certified Qigong Instructor. Chris Shelton is proud to be the official Chinese medicine practitioner, healer, and go-to-guy for Cung Le and the SMASH Gyms Fight Team. Chris Shelton is honored to be appointed an Architect of Change by Maria Shriver. “Over the last 7+ months I have noticeably changed. How I feel, how I think, how I behave. Working in retail previously, I used the reflected practice a lot, however my reflections are in a different space now. I have focused a lot of the essence of who I am. I began struggling with digestions issues 4 weeks into level 1. Yesterday (after 12 weekend workshop) I realized that I still worry too much and have been holding onto fear/trauma which I thought I had let go. I feel I’m about to step out of “safe zone” and “fly” having trust and faith in my abilities.